It turns out you actually can make decent coin streaming your music on Spotify, so long as you can average some 15 million plays a week. That's apparently the case for producer Mark Ronson, whose big, Bruno Mars-assisted "Uptown Funk" single is currently said to be making roughly $100,000 U.S. (or $126,409 Canadian) a week through the streaming service. Music Business Worldwide [via Fader] has done some number crunching on worldwide streams for the Uptown Special single, and reports that the track has been played on Spotify over 126 million times since debuting in November. A graph shows the single has been on the rise since late November, peaking at 15.4 million listens the week of January 25. It took a slight dip the week of February 1, clocking in around 15.1 million. Using the service's rate of paying artists $0.007 a stream, that last week of plays earned $105,000 alone. That's the kind of scratch that would make a dragon wanna retire, man! 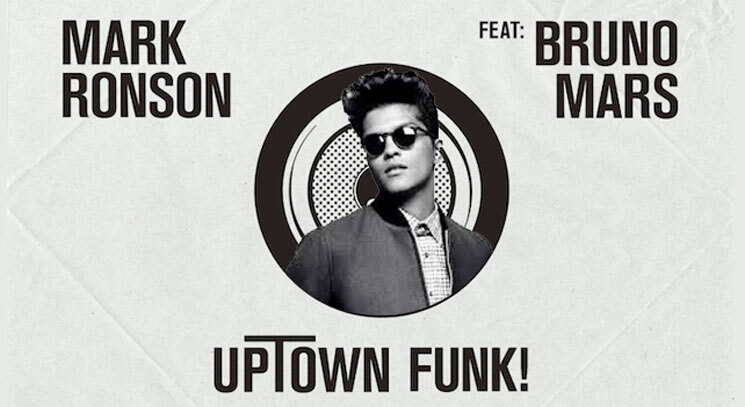 Profits should be split between Ronson and "Uptown Funk" co-writers Jeff Bhasker, Bruno Mars and Philip Lawrence; publishers Imagem; and Columbia Records. Music Business Worldwide reports that, on average, 73 percent of the total goes to the label, 16 percent heads to publishers and songwriters, and 11 percent goes to artists.